This little bear has a lot of personality! 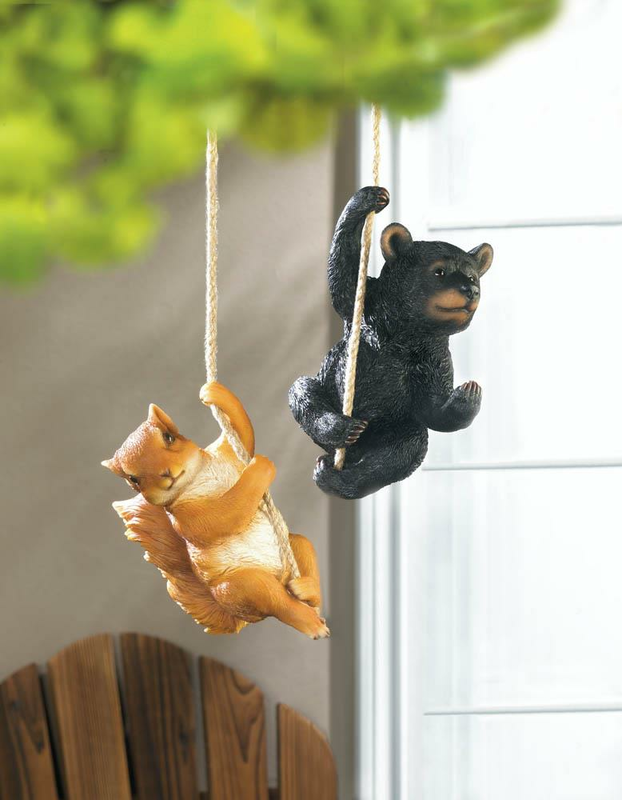 The intricately detailed black bear figurine hangs from a rope, perfect for your garden or your porch! Weight 1 pound. 5" x 3.5" x 7.25". 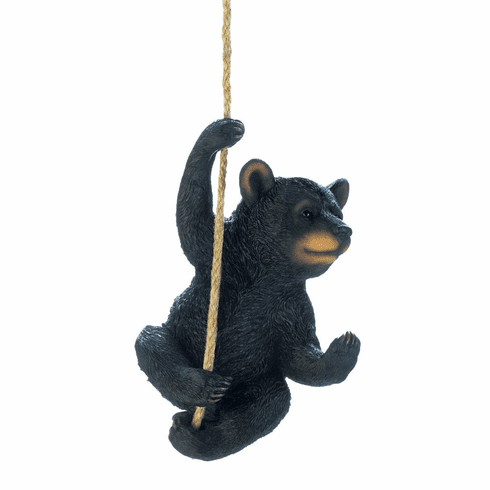 Height with rope: 26". Polyresin, Rope. UPC Number: 849179036218.